In the project Bergs gård we are part of a team led by Society Arkitektkontor. 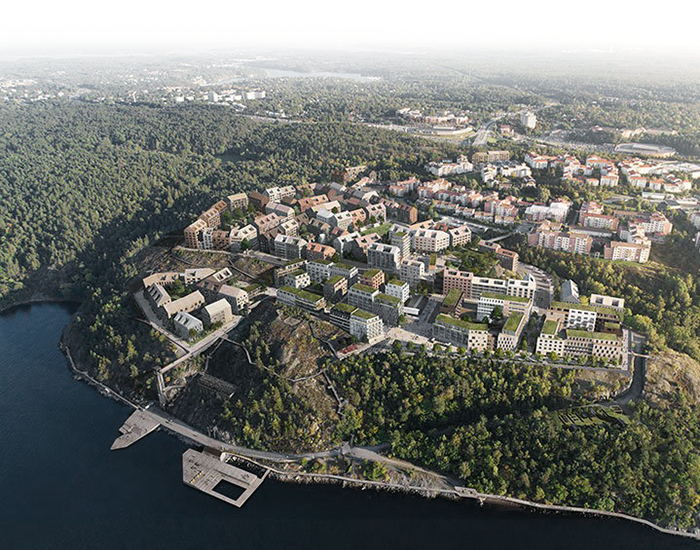 The team design the redevelopment plan for an oil storage harbor in Nacka. All oil activity in the area is planned to be relocated and the site will be transformed into a dense neighbourhood of 2000 new housing units and a series of spectacular public spaces along the steep and rocky coast. The proposal was on public display from november 2017 until january 2018.